SEBASTIAN – Hurricane Irma has prompted Gov. 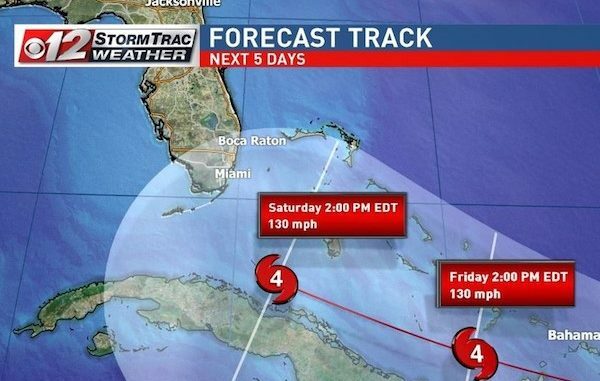 Rick Scott to declare a state of emergency Monday for all 67 Florida counties. Scott said he’s issuing the order to make sure governments have “ample time, resources and flexibility to get prepared” for the storm. As previously reported by Sebastian Daily, spaghetti models for Hurricane Irma show a turn to the west. The storm is still expected to turn north, but it’s still too early to predict where the storm will make landfall. The governor noted that since many of the storm models have Florida is in Irma’s path, he advises Floridians to take time to make preparations. The declaration ensures that local governments have ample time, resources and flexibility to get prepared for this dangerous storm and are not hindered, delayed or prevented from taking all necessary actions to keep communities safe. “Hurricane Irma is a major and life-threatening storm and Florida must be prepared,” Scott said. Scott said the emergency declaration will allow emergency management officials to act swiftly in the best interest of Floridians without the burden of bureaucracy or red tape.